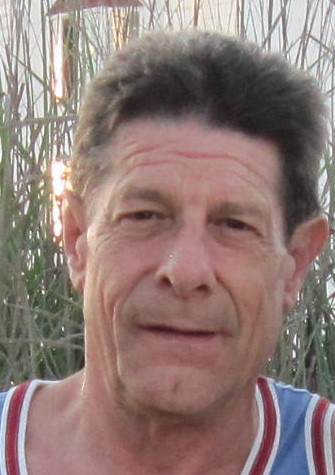 Michael Ray “Mike” Hollinger, 62, of Boonsboro, MD, passed away Monday, February 4, 2019 at Hospice of Washington County, Doey’s House, of Hagerstown, MD. Born Friday, March 2, 1956 in Frederick, MD, he was the son of Oneida Alvinia (Rakes) Hollinger of Frederick, MD, and the late Harold Clyde Hollinger. He was a graduate of Thomas Johnson High School class of 1974. Mike was a veteran of the United States Army. He left his position at Frederick Cancer Research Center to stay at home and raise his son Dustin. Mike is survived by his wife of 39 years, Robin Lynne (Huntsberry) Hollinger whom he married May 5, 1979, son, Dustin Hollinger, brother, Ronald Hollinger and companion Joyce, sisters, Diana Burdette and husband Lee, Peggy Brunner and husband Steve, Sandy Redman and husband Kirk and Barby Clark and husband Jeff, brother-in-law, Dale Huntsberry and companion Sue, father and mother-in-law, Kenny and Sarah Huntsberry and numerous nieces, nephews, great-nieces and great-nephews. Services will be held Friday, February 8, 2019 at 3:00pm at J.L. Davis Funeral Home, Smithsburg, MD, with pastor Virgil Cain officiating. Burial will be in Smithsburg Cemetery. The family will receive friends from 1-3pm before the service. In lieu of flowers, memorial donations may be made in memory of Michael Hollinger to Hospice of Washington County Doey’s House at, 747 Northern Ave. Hagerstown, MD, 21742 or www.hospiceofwc.org. Online condolences may be offered at, www.jldavisfh.com.